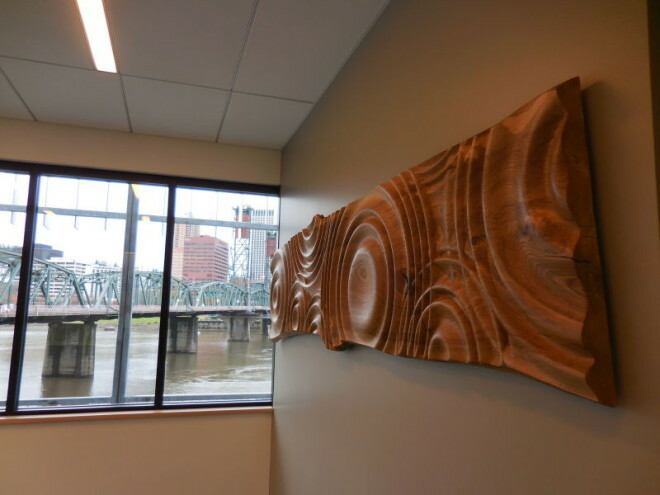 THere was bit of good news this week for The Rippling Wall project at Fire Station 21 in Portland Oregon. It was honored with a Public Arts Network Year in Review award which can be viewed here, by Americans for the Arts, the nation’s leading nonprofit organization for advancing the arts and arts education. Their budget number is a bit off in their entry, my budget was a fraction of that and the building cost much more so I don’t know where that came from. 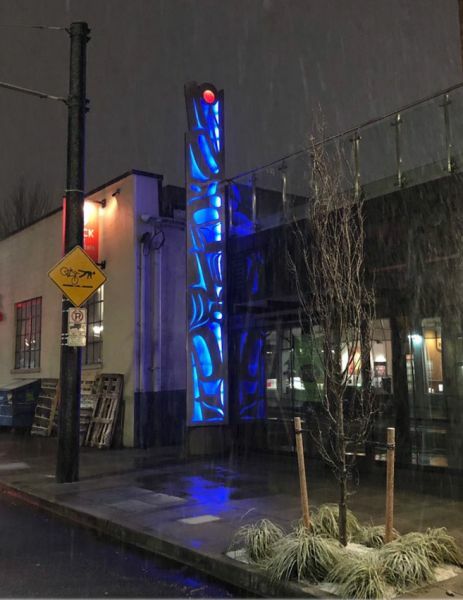 This year The Rippling wall was recognized as one of 31 outstanding public arts projects created in 2014 by the Public Art Network (PAN) Year in Review program, the only national program that specifically recognizes the most compelling public art. 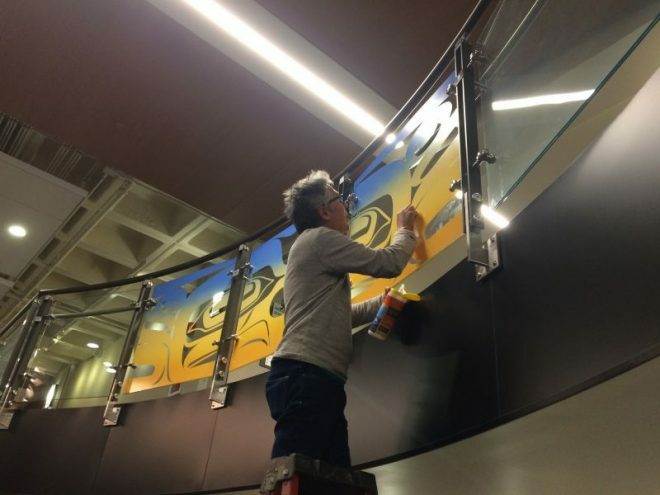 The works were chosen from more than 300 entries across the country and were presented Americans for the Arts’ 2015 Annual Convention in Chicago. 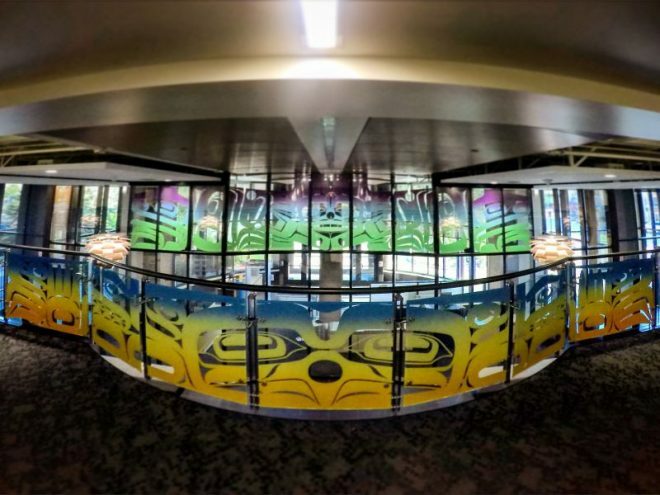 Check out the other incredible public artwork that was selected here. 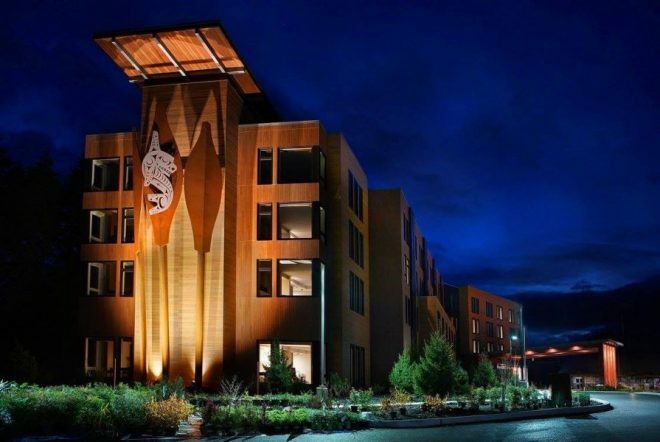 This project could not have been done without Kurt Nordquist of Davinci’s Workshop, or Arron Whelton and Whelton Architecture, who designed the building and worked closely with me on my project, a great team. Peggy Kendellen of Portland’s Regional Arts and Culture Council was amazing to work with as well. Portland Fire and Rescue Chief Erin Janssens, Deputy Chief Marco Benetti, Station Captian Marty Getsch and all the firefighters at the station were great to work with too. 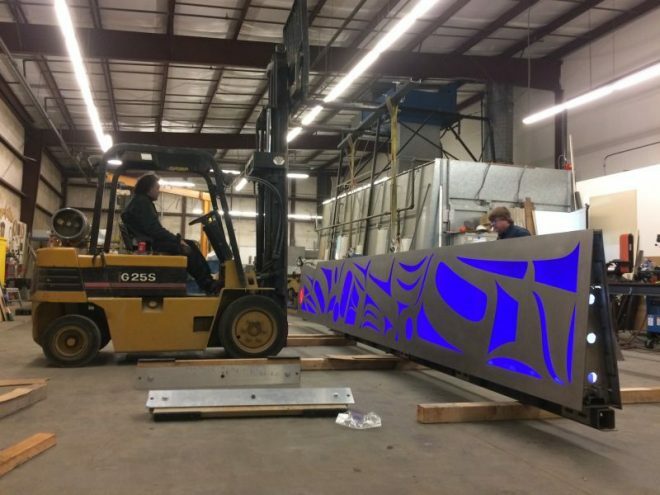 Connie Johnson was the project manager with the City of Portland, David Dwyer with Skanska was, the contractor, and Ian Eikanas with KPFF engineered the project. 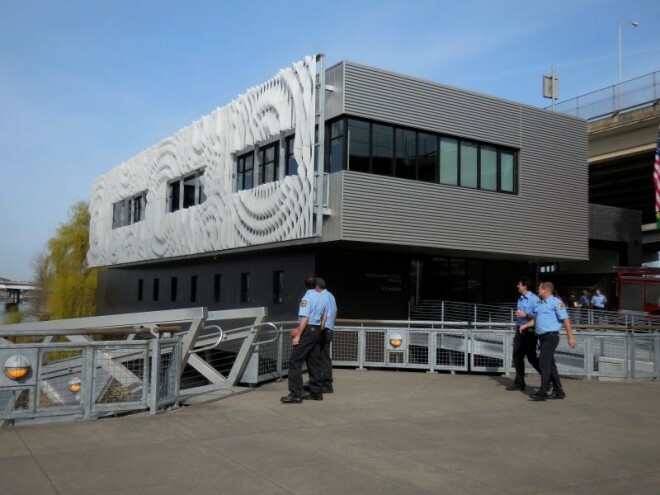 Portland Fire and Rescue put together this very nice video about the new Fire Station 21 on the East Bank of the Willamette in downtown Portland Oregon adjacent to the historic Hawthorne Bridge. Please take a look, it is very well done, and is a great overview of the project. 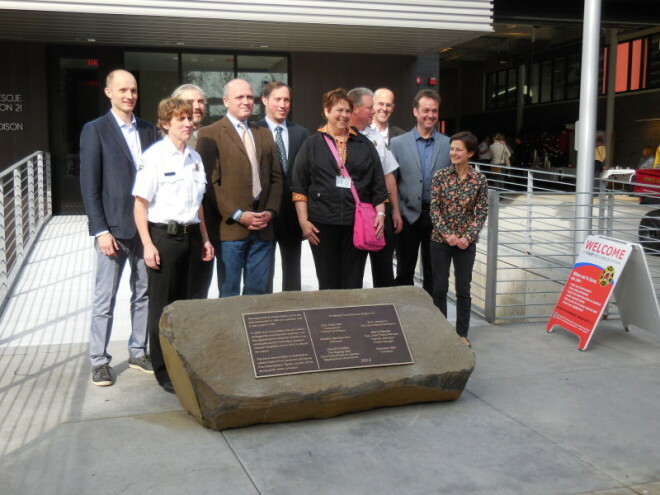 The narration is from the great dedication speech by Portland Fire Chief Erin Janssens. 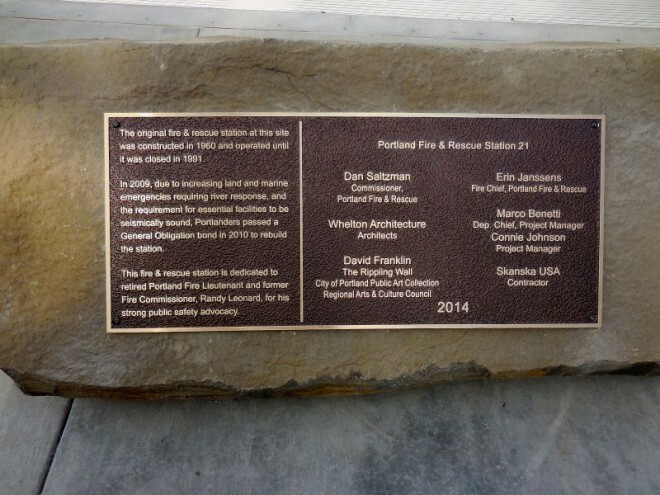 Friday March 6, 2015 was the open house for Portland, Oregon’s Fire Station 21 named for former Commissioner Randy Leonard. 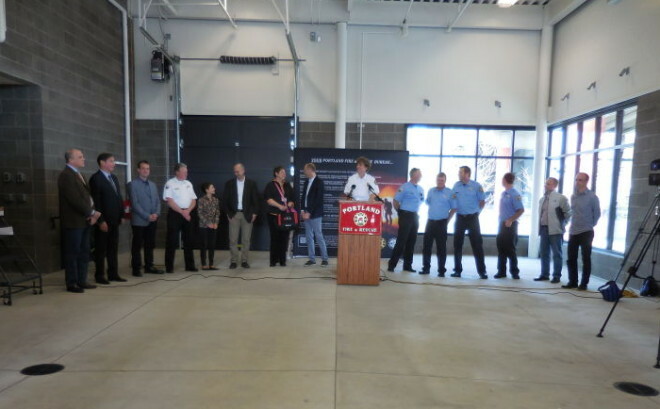 Both he and Fire Chief Erin Janssens spoke about the successful bond measure that funded the station, and Station Captain Marty Getch and his great crew that man it. She also spoke about the great team that worked so hard to build the station, which I was fortunate to be a part of. Also in attendance was current Commissioner Dan Saltzman, the team at Whelton Architecture Aaron Whelton, David Suttle, and Mollie Buhrt who designed such an amazing facility and were instrumental in helping me with my project. Connie Johnson the project manager with the City of Portland, David Dwyer with Skanska, the contractor, Ian Eikanas with KPFF the project engineer, were there, as well as Peggy Kendellen from the Regional Arts and Culture Council who was my teammate and ally through the process. Kurt Nordquist, of Davinci’s Workshop was also in attendance, who is my good friend and fabricator extraordinaire. 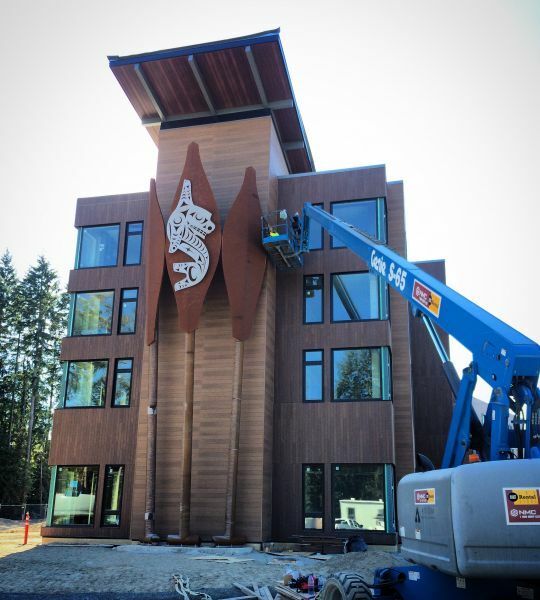 The last Piece of the Fire Station 21 project is up. 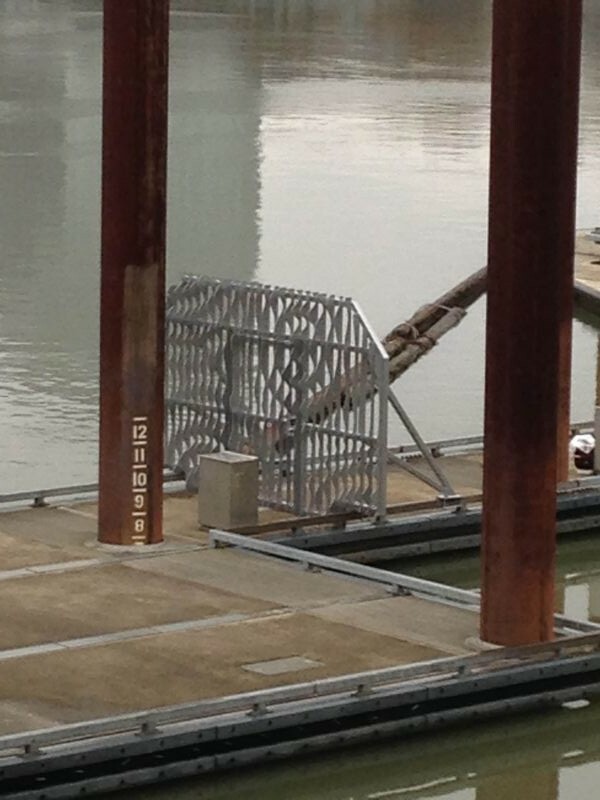 It is a brand new dock gate at the Madison St. Pier on the East bank of the Willamette River in Portland, Oregon. 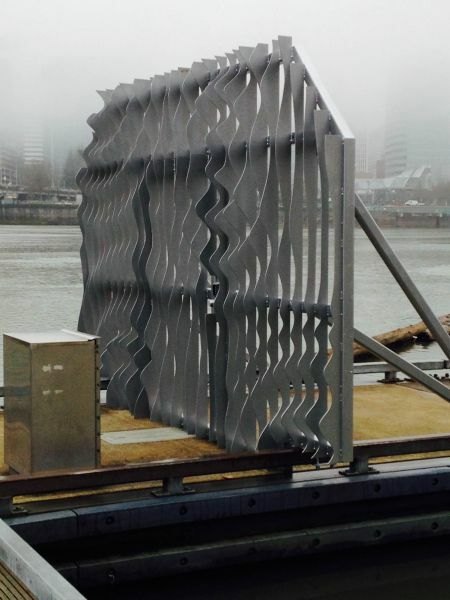 It also shares the ripple treatment similar to the Rippling Wall, the facade of the station, but serves the purpose of being a fully functional security gate to protect access to the new boathouse and rescue boats used by the firefighters at Portland Fire and Rescue Station 21.